Now in its 17th year, the Digital Service Fellows (DSF) is an award-winning AmeriCorps program for recent Philadelphia high school graduates interested in information technology and in serving their communities. The DSF program is part of the Urban Technology Project (UTP), which empowers communities through meaningful access to technology. The DSF AmeriCorps program is a joint initiative between Communities In Schools of Philadelphia, Inc. and the School District of Philadelphia.Applications are accepted on a rolling basis, but we are seeking to make final decisions by June 30th. The Program will begin in August. Coding Ninjas and graduates UTP is recruiting for the IT Pre-Apprenticeship. If you know of anyone between the ages of 18-24 who is interested in technology, send them the information. Repl.It is hosting its First Game Jam! FAQ Click here for our full FAQ. P.S. Don’t forget to invite your friends! We created a handy sign up page just for potential challenge participants here. Saturday, May 4th: The 2019 Philadelphia Science Festival culminates in a super-charged, super-fun celebration of science! This FREE finale event promises to be the ultimate daylong science extravaganza! The magic of bubble artistry comes to life in this family-friendly event designed to celebrate the infinite ways these momentary soap masterpieces captivate and delight. Plus, create vibrant art that represents you and your community with a stop at Murals on the Move, a colorful van stocked with art supplies and equipped with talented teaching artists from the Mural Arts Program. 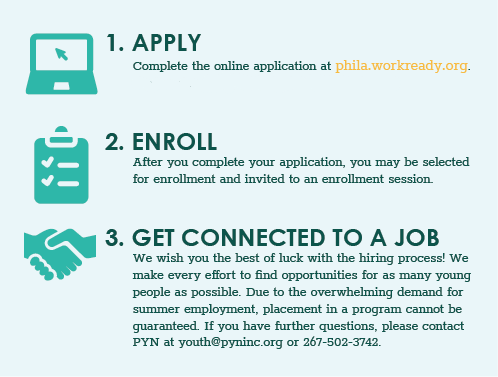 PYN is now accepting youth applications for Summer Jobs! RSVP today for the 7th Annual Philly Codefest at Drexel University! Codefest will take place at on May 4 and 5 Drexel University’s Daskalakis Athletic Center. 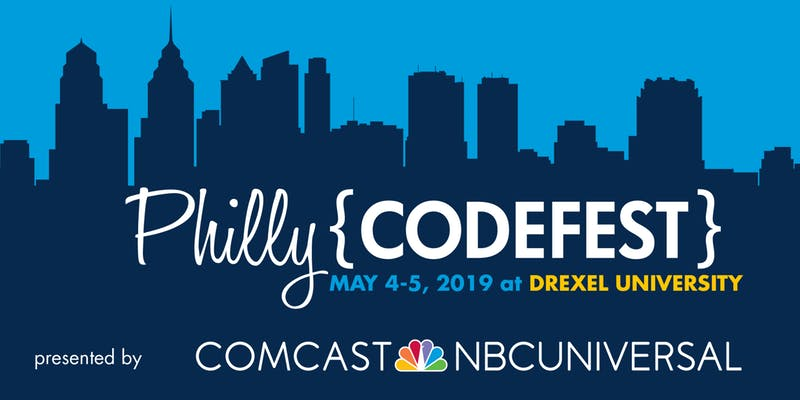 Presented this year by Comcast/NBC Universal, Philly Codefest is a 36-hour hackathon that encourages students and professionals from all experience levels and backgrounds to work together to develop innovative solutions to help solve real world challenges. Philly Codefest is a free software and hardware hackathon that is open to anyone. No coding experience is necessary – just bring your creativity! The theme for Philly Codefest 2019 is Economic Inequality. Codfest encourages participants to generate real-world, scalable solutions to help end economic inequality in Philadelphia. Click here to check out some of last year’s winning projects. Out of work and searching? Consider working in the tech field! The Urban Tech Jobs Program (UTJP) is an accelerated technology training program that is exclusively designed for unemployed adults. The customizable program includes Job Readiness and Resiliency workshops, certificate or license bearing technology training classes, and paid work based training. As a result of graduating from the program, participants will be able to compete for jobs in a high demand and growing industry. 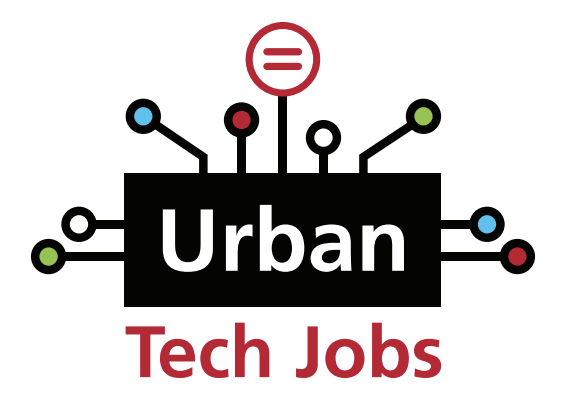 Urban Tech Job Tech is a Department of Labor training program brought to you by the Urban League of Philadelphia. UTJP answers the call to get more Americans working again in the fast-growing technology sector. UTJP offers comprehensive and customizable trainings to create competitive candidates for H-1B tech sector occupations. UTJP is an accelerated training program that recruits long term unemployed and underemployed adults and provides them with workshops to build solid job readiness and personal resiliency/adaptability skills, while offering nationally-recognized certification coursework and paid work experience. Eligibility Must be unemployed, preference extended to those unemployed for 27 weeks or more. Must have a diploma or equivalent Must be 18 years or older. For more information, click here.